As a law firm with experienced San Diego car accident attorneys, we know that car accidents are always unexpected. In fact, according to the National Safety Council more than 10-million car accidents occur each year in the United States. They are a sad reality – and in most cases, can be avoided. Unfortunately, many people simply do not know what to do after they have been involved in a car accident – especially if they are injured. In most cases people start to panic and this may result in further injury and loss of evidence. Keep in mind, usually after a car accident, medical needs need to be address, a police report filed, an auto insurance company notified, and an experience San Diego car accident attorney called. #1: I have to answer all the questions the insurance company asks about the accident. Truth – You only need to tell the insurance companies that you were in an accident and that you are under the advisement of a San Diego car accident lawyer. You can also tell them you are seeking medical help, but you do not need to discuss the extent of your injuries or who you feel is responsible for them. 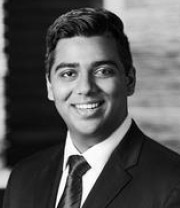 #2: I cannot get any compensation for my car accident injury because I was partially responsible for what happened. Truth – You may still be eligible to collect compensation for the incident as long as the other party is found to be more negligent than you. Our car accident lawyers will examine the details behind your accident to help pursue the fullest damages you deserve. #3: In order to get full compensation, my car accident case will need to go to trial. Truth – As your car accident lawyer in San Diego, I can often negotiate a fair settlement through out-of-court negotiation. Our experienced lawyers make sure you understand the advantages and disadvantages of all legal options available for your situation. If you’ve been involved in an auto collision, a San Diego car accident attorney is your most valuable resource. Contact the police first. Get medical assistance. Then, contact a lawyer immediately. 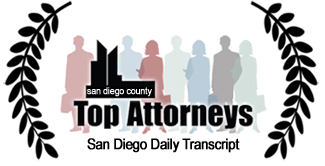 As an experienced San Diego car accident lawyer – I can get you the compensation your deserve.